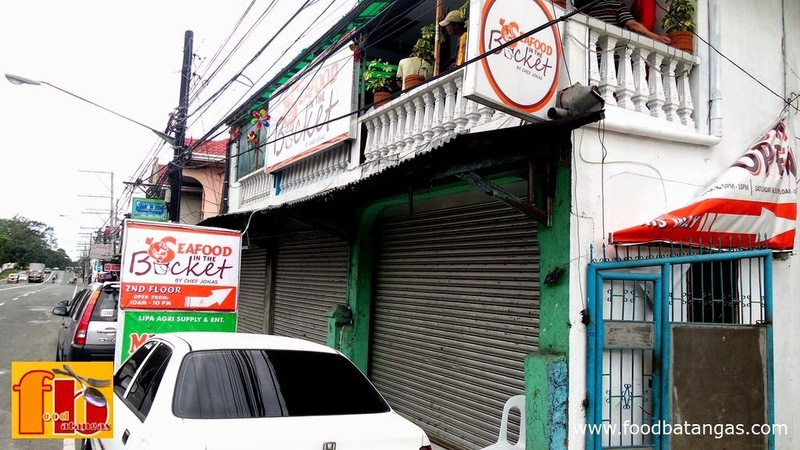 Seafood Bucket is right along the highway in front of Fernando Air Base in Lipa City. Food Batangas caught up with Jonas de Villa, a.k.a Chef Jonas, at his newly-opened homey restaurant called Seafood in the Bucket in barangay Sico, Lipa City. Homey is as appropriate a description of Seafood Bucket as one can get, as indeed Chef Jonas rents what used to be a family home along the national highway right in front of Fernando Air Base. It was inside the base that Chef Jonas grew up as part of an Air Force family. Rather than build a career for himself in military service as many Air Force children do, Chef Jonas opted for an alternate career route and worked for many years as an OFW of the culinary industry in the Middle East. 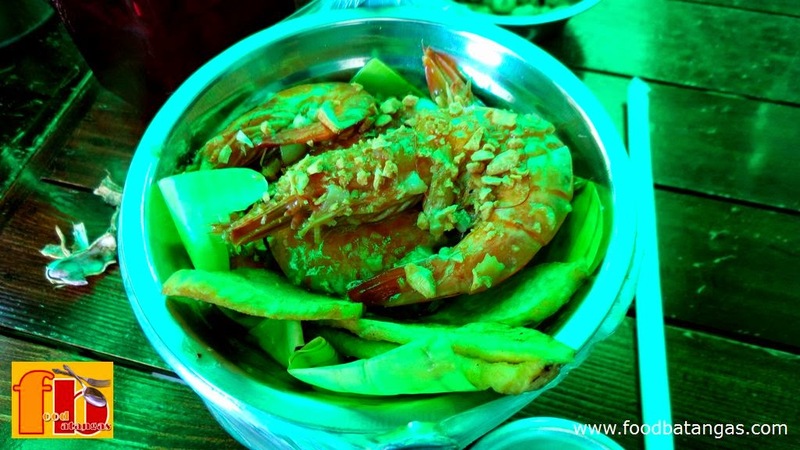 He and his family recently returned to the Philippines and Seafood in the Bucket, which he opened as recently as the 26th of October this year, is his first attempt to penetrate the burgeoning culinary scene in Batangas, particularly in his home city of Lipa. The homey comforts of Seafood in the Bucket are not only in that it is located in what used to be a family residence. The ambience is warm and unpretentious; and will be perfect for a family that wishes to come together for bonding time or even students and professionals who wish to sneak away somewhere for a quick meal. 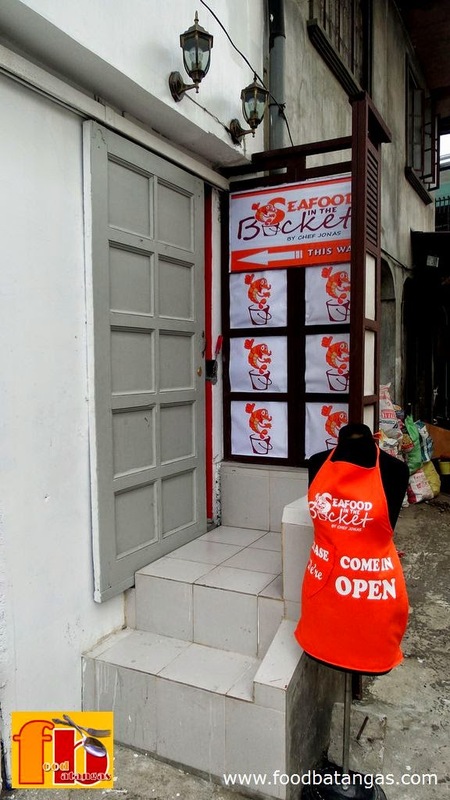 A quaint little door leads to the homey comforts of Seafood Bucket. In fact, the place was abuzz yesterday during lunchtime service. There was almost a full-house and a good mix of enthusiastic diners; and not just because of the PacMan-Algieri match that the restaurant conveniently had on live by pay-for-view for everyone. The homiest aspect of Seafood in the Bucket, of course, is none other than the food itself: simple and even rustic, the sort one’s mother is rather wont to make from time to time. As an added treat, the Pacquiao-Algieri bout was on live via pay-per-view cable coverage for yesterday's lunchtime diners. 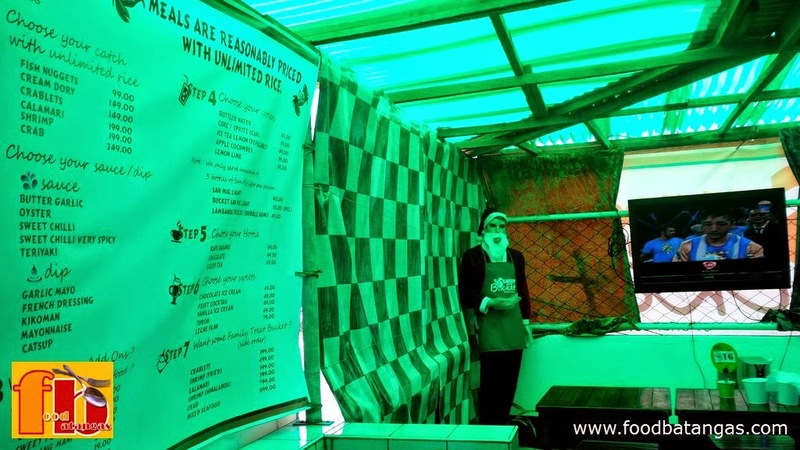 Friendly waiters invite diners to choose from among fish nuggets, cream dory, crab or crablets, shrimp and calamari. The fresh catch, Chef Jonas told us, is brought in straight from the fish port in Lucena City. Diners are asked for their preferred dips and may choose from butter garlic, oyster sauce, sweet chilli, teriyaki sauce, garlic mayo, French dressing, plain mayonnaise or just ketchup. 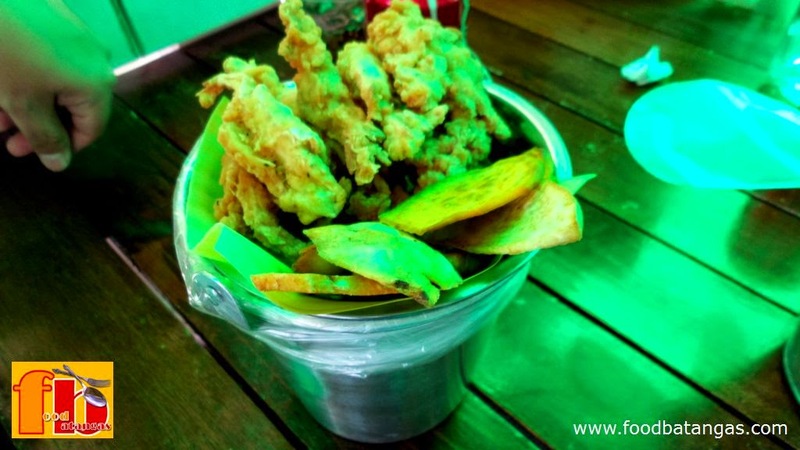 The food is served in neat little aluminium buckets from which the restaurant gets its name. Herein lays the innovation because no eating implements are provided. Instead, diners opt to either make the short trip to the faucet to wash hands or use plastic gloves that are thoughtfully provided. Crablets served with rice in a bucket. Shrimps cooked in garlic and butter. Either way, diners have to eat with their hands as is the Filipino way and as one unabashedly does if one so wishes at home. By the way, the rice is unlimited. Group diners may opt for the Family Treat Buckets which are all reasonably priced. There is also beer or lambanog for those who wish to unwind after hours, although each person is served a maximum of three bottles of beer only.